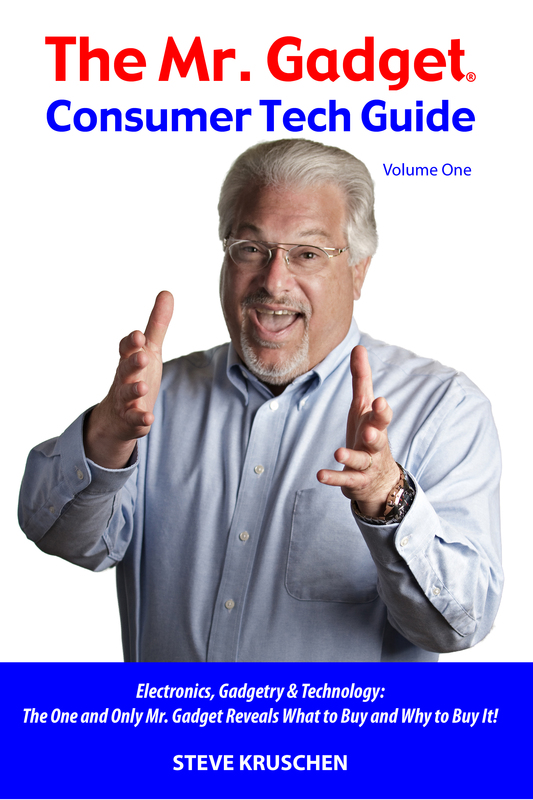 About - Steve Kruschen, "Mr. Gadget®"
Millions of consumers know Steve Kruschen, “The One and Only Mr. Gadget®“, thanks to thousands of appearances on television and radio shows across the US. For well over two decades, Steve Kruschen has been investigating, testing, demonstrating, and reporting on consumer technology including computers and other electronic products, housewares, hardware, auto tech, gadgets, and a wide range of new technology. Audiences have come to rely upon his expert advice and consumer-oriented approach. Answering the needs of consumers, Steve Kruschen is their trusted evaluator of electronic products and technology. Steve Kruschen demystifies consumer electronics by introducing his audiences to a never-ending supply of new products and technology, plus providing the latest in consumer technology news, reviews, and evaluations. The ultimate consumer, “Mr. Gadget” checks out products in a real world, hands-on environment — just the way an average consumer would. Steve reports his findings and returns the product to the manufacturer from whence it came without having to buy it. Mr. Gadget is the guy who tries it out for consumers before they buy it! What products and technology does Steve Kruschen evaluate? If it is of wide consumer interest, Steve is also interested! His watchful eye and tastes are eclectic. From phones to video and audio, to kitchen essentials, more housewares and hardware, to whatever it is that grabs his interest and that he feels will be of benefit and interest to his TV and radio audience, and other followers. To introduce consumers to compelling products and technology, manufacturers often call upon Steve Kruschen to appear as a spokesperson on national media tours. As a speaker on the corporate lecture circuit, Steve Kruschen reveals to business executives how to avoid being a “techno-idiot” when dealing with today’s technology oriented consumers. The Consumer Technology Revolution is well underway and Steve Kruschen is telling corporate decision makers how to avoid its pitfalls and succeed in this new marketing era.